Moving from New York to London - Compare Movers & Save up to 70% ! Moving from New York to London is a big move, but don´t worry because you can quickly and easily obtain free moving quotes with Intlmovers! 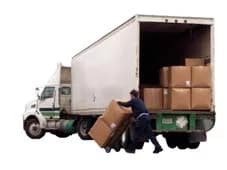 In a single request, you can compare up to six different moving company services and costs without all the running around. This online quote comparison service is completely free, so why not compare moving companies for your international move? With so many other things to organize, it makes sense to try and outsource as much as the hard work as possible before your London adventure. International moving companies that promote their services on Intlmovers are global moving experts. They offer professional services in all areas of logistics and shipping to international destinations. Trust your m ove from New York to London with the experts! Once you have received your different quotes from the moving companies, it makes it much easier for you to contrast and compare the different services and costs that are available to you for your London move. Get the best value for your international move by comparing not only the price, but the services that you are receiving for that total cost. Moving from New York to London may be one of the most exciting moves you have ever made. London is a world famous city that has a long and vibrant history. It is a brilliant contrast of traditional culture and modern values, with a vibrant social atmosphere. The London area covers just 607 square miles (1,570 square kilometres) and has a population of around 8 million people. That makes it the one of the most densely populated cities in Europe. Situated on the River Thames in the south east of England, London is famous for a number of English icons. These include the Tower Bridge, Buckingham Palace and Wembley Stadium. London is also home to four world heritage sites including the Tower of London. The London Underground system is the oldest underground railway network in the world. If you are moving from New York to London then you will likely need to arrange a visa. The visa requirements for living and working in London (and the UK in general) will be dependent upon your required length and reason of stay. If you are a European Union National you do not need to get a visa to live in the UK. If you have family members from non- EU countries then you need have suficient documentation of being an EU national living in Europe. With the upcoming Olympic Games in 2012, employment in London is receiving a huge boost to its market. London is preparing for one of the world’s biggest sporting events, which not only brings it in to the global spotlight but also brings a number of additional employment opportunities. The size and location of London make it a central hub for UK, European and global businesses. Many major companies have head offices located in or close to London across all areas such as finance, insurance, government and more. It is reported that there is a skilled workers shortage in London, with the occupational areas of engineering, medical practitioners, dentists, nurses, scientists and teachers being some of the main areas of shortages. As with most major cities, the cost of living in London is one of the most expensive in the country. As with any type of property purchase or hire, the price you pay is very much dependent on exactly where you are living, the size and type of home and the condition of the property. London is one of the most expensive places to live in the UK. However, salaries and job opportunities are also generally higher. Some of the popular areas for expats include Shepherd’s Bush, Notting Hill, Camden and St John’s Wood. No matter where you choose to live, your main concern in addition to the price, will include the safety of the area, along with the proximity to amenities such as public transport and other facilities. “1 Queen size bed, 1 dining room table with 8 chairs, antique mirror, 4 large framed pictures, 8-10 boxes packed, glassware, ski& poles, 1 small antique chest, 1 small sofa“. “6 Large paintings. 4 x large boxes, 12 x medium boxes, various other items. (1.5mx1.5mx3m)”. With the use of the internet, you can really make a lot of arrangements prior to arrival. I found this really handy to do in my spare time before I actually moved. I started packing well in advance with all the personal items I had that never used. Then when it was the last minute rush of the final packing, there wasn’t so much left to do. I found a number of expat sites to help me settle in. I forgot how isolating it can be when you first move to a new place and you are trying to fit in and create a new social circle. London is a welcoming venue for this because there are so many expats here. Get your friends to help you with things you need to do, it was also a good opportunity for me to say goodbye and make sure that we kept in contact after I moved. Get yourself up to speed on the rules of (English) football – and fast! I’m really looking forward to enjoying the social gatherings and understanding what it means when the ref blows the whistle! I contacted my embassy as my first step so I knew exactly what I had to do and how I had to do it. I think it saved me a lot of unnecessary time wasting. I made sure that I had the right documents available so that there was no having to go backwards and forwards for getting my visa reviewed and approved. I allowed as much time as possible once I knew about my opportunity so that I could feel confident that that there was enough time to allow for any possible processing delays. I invested in the help of an adviser to get my visa organised more quickly. It helped save me a lot of emotional and mental stress to get myself organized! Do some research online beforehand so you know what to expect and how things will proceed. I found it really useful and very interesting to have a bit of background info before I started the process. With Intlmovers you can compare up to six quotes simultaneously without costing you anything. You can take advantage of this quote comparison service risk free because if you find that the responses you receive do not meet your needs, then you are under no obligation to accept any of them. Comparing quotes and getting the best value for your moving budget has never been easier!